Hi everyone! 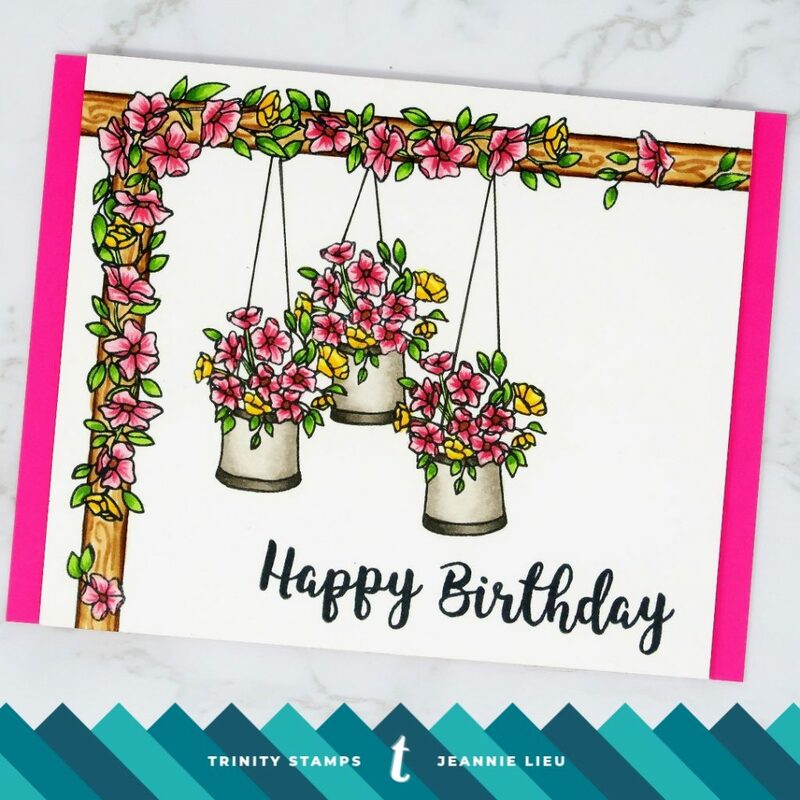 It’s Jeannie (InsideoutJeans) on the blog today with a card using Trinity Stamps using the stamp set Hopeful Flowers. It’s a 3×4 stamp set, which is smaller, but I really wanted to create a full scene with it. 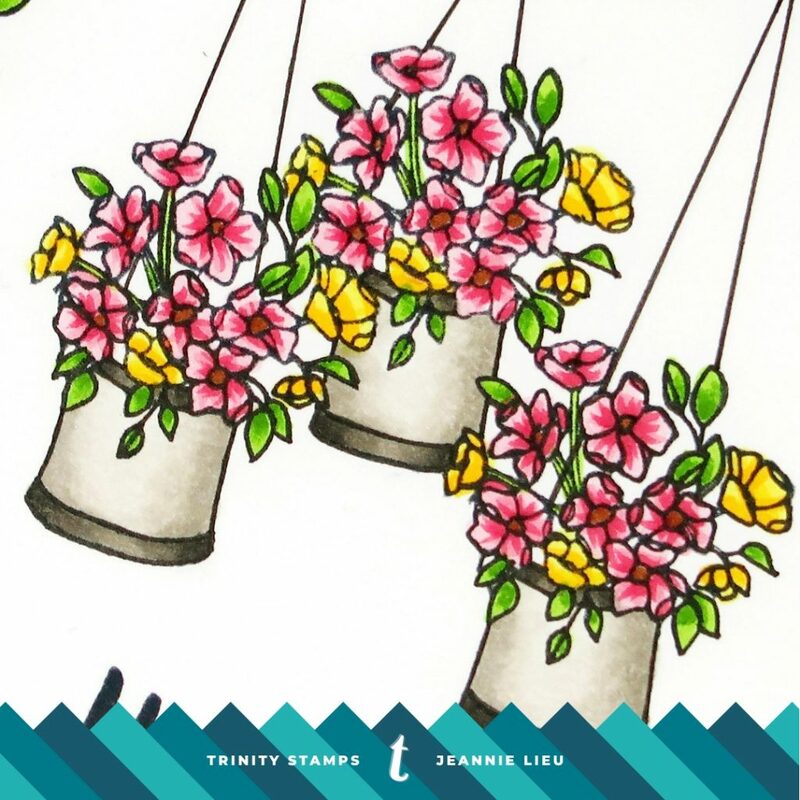 This card was also inspired by the April Creativity Challenge. If you haven’t checked it out yet, you should! I’m a city girl and I definitely don’t have much room for a garden but I can imagine someone who has space to have flowers everywhere. I also have always adored those hanging pots with flowers growing wildly in them. This inspired my card today. I wanted a climbing wall of flowers and some of these floral images were perfect for it. I stamped and had to partially mask some of the flowers. I thought I’d have a hard time with these images since they are small and detailed but I really didn’t. For the hanging flower pots, I actually had to mask off portions of the water can image because I wanted it to just look like pots. Once I was able to do that, I just added two lines to create the hanging effect. 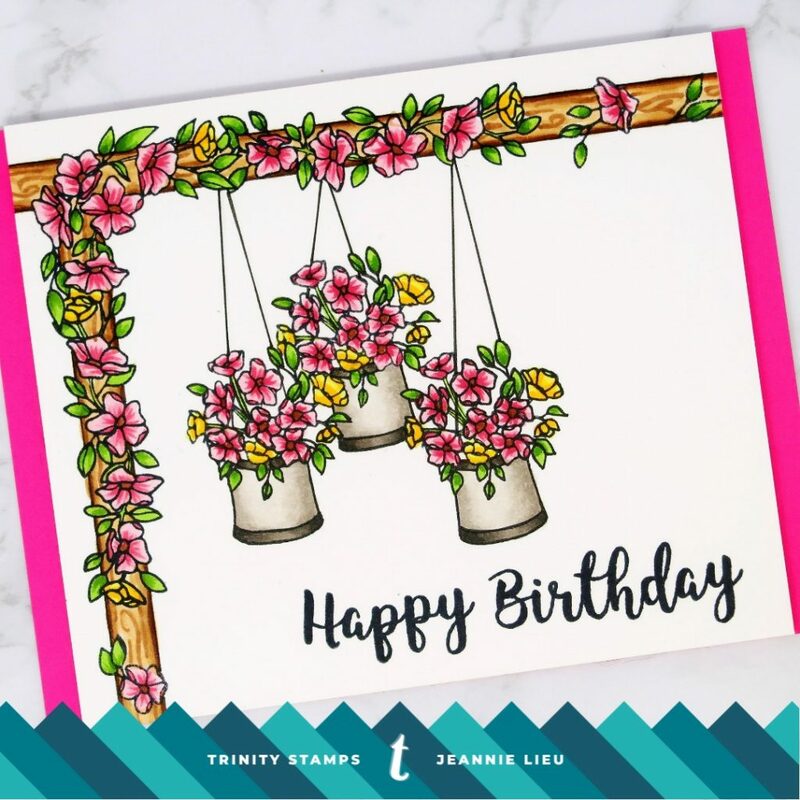 To finish off this card, I used the “Happy Birthday” sentiment from the Let Love Grow stamp set and placed it at the bottom right hand corner. If you’re interested in seeing all the steps on how I put this card together, check out my process video of how I created it over on the Trinity Stamps Youtube channel. Hope you enjoy it! Thanks for stopping by. Come back again soon for some more inspiration and ideas!